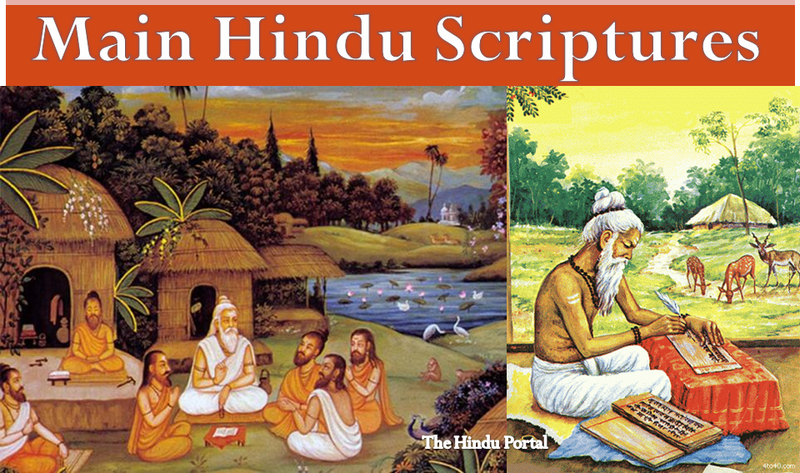 Shruti (lit: that which is heard) primarily refers to the Vedas, which form the earliest record of the Hindu scriptures. While many Hindus revere the Vedas as eternal truths revealed to ancient sages (Ṛṣis), some devotees do not associate the creation of the Vedas with a god or person. They are thought of as the laws of the spiritual world, which would still exist even if they were not revealed to the sages.Hindus believe that because the spiritual truths of the Vedas are eternal, they continue to be expressed in new ways. Hindu texts other than the Shrutis are collectively called the Smritis (memory). The most notable of the smritis are the epics, which consist of the Mahābhārata and the Rāmāyaṇa. The Bhagavad Gītā is an integral part of the Mahabharata and one of the most popular sacred texts of Hinduism. It contains philosophical teachings from Krishna, an incarnation of Vishnu, told to the prince Arjuna on the eve of a great war. The Bhagavad Gītā, spoken by Krishna, is described as the essence of the Vedas.However Gita, sometimes called Gitopanishad, is more often placed in the Shruti, category, being Upanishadic in content. Purāṇas, which illustrate Hindu ideas through vivid narratives come under smritis. Other texts include Devī Mahātmya, the Tantras, the Yoga Sutras, Tirumantiram, Shiva Sutras and the Hindu Āgamas. A more controversial text, the Manusmriti, is a prescriptive lawbook which lays the societal codes of social stratification which later evolved into the Indian caste system. neither let there be in thee any attachment to inaction.